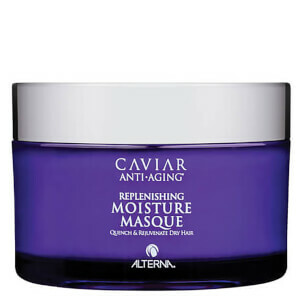 Alterna’s Caviar Anti-Aging Replenishing Moisture Shampoo provides hydration to moisture-starved hair and protects from future damage. This hydrating, sulfate and paraben free shampoo restores moisture while protecting hair from color fade, daily stresses and future damage. Massage throughout wet hair and scalp. Rinse thoroughly. Repeat if necessary. 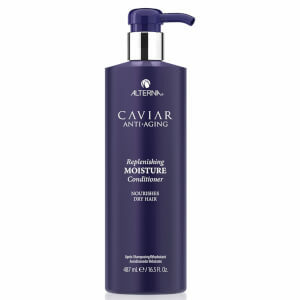 Follow with Caviar Moisture Conditioner for best results. Water (Aqua), Disodium Laureth Sulfosuccinate, Sodium Cocoyl Isethionate, Sodium Lauryl Sulfoacetate, Cocamidopropyl Hydroxysultaine, Sodium Lauroyl Sarcosinate, Cocamidopropylamine Oxide, Acrylates Copolymer, Methyl Gluceth-20, Glycol Distearate, Glycereth-26, Algae Extract, Amodimethicone, Saccharomyces/Magnesium Ferment, Saccharomyces/Copper Ferment, Saccharomyces/Iron Ferment, Saccharomyces/Silicon Ferment, Saccharomyces/Zinc Ferment, Phospholipids, Soy Amino Acids, Sodium Phytate, Polysilicone-15Linum Usitatissimum (Linseed) Seed Oil, Helianthus Annuus (Sunflower) Seed Oil, Hydrolyzed Vegetable Protein PG-Propyl Silanetriol, Glycerin, Laureth-9, Caviar Extract, Butyrospermum Parkii (Shea) Butter, Ascorbic Acid, Superoxide Dismutase, Polyquaternium-10, Trideceth-12, Tocopheryl Acetate, C12-13 Pareth-3, C12-13 Pareth-23, Divinyldimethicone/Dimethicone Copolymer, Lauryl Alcohol, C11-15 Pareth-7, Butylene Glycol, Polyquaternium-7, Decyl Glucoside, Dihydroxypropyl PEG-5 Linoleammonium Chloride, Guar Hydroxypropyltrimonium Chloride, Citric Acid, Disodium EDTA, Aminomethyl Propanol, Isopropyl Alcohol, Tetrasodium EDTA, Alcohol, Potassium Sorbate, Polyaminopropyl Biguanide, Benzoic Acid, Phenoxyethanol, Methylisothiazolinone, Fragrance (Parfum). Love this product, keep trying other products in between but nothing is as good. Leaves hair feeling great. I got the leave in conditioner in an ipsy package a while back and bought this stuff to give it a whirl because i liked that so much. And good grief is it nice. Super thick and creamy yet doesnt weigh my hair down. I have a lotnof hair and i like keeping it that way. My only qualm is the price. It's expensive but wait for sales so you dont go broke. I enjoyed this one and the replenish shampoo/ conditioner. My hair feels soft and healthy as well as my scalp. 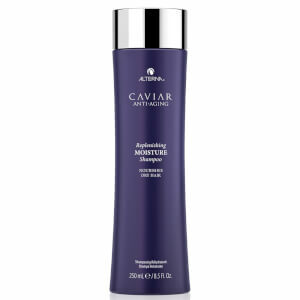 I've tried so many shampoos (Kerastase, Redken, Joico etc) but this one is my favorite! I have slightly damaged hair, so I can's say that I saw a dramatical change, but my hair looks healthy, shiny, stronger and what is more the smell is just fine not too smelly thanks God!What I don't like is the price of course but if it's okay I strongly suggest buying this one.